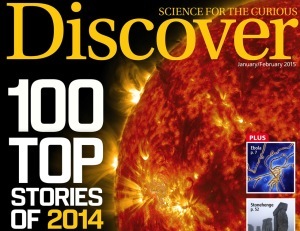 2014 has been a year filled with exciting and noteworthy research from the Center for Exoplanets and Habitable Worlds. 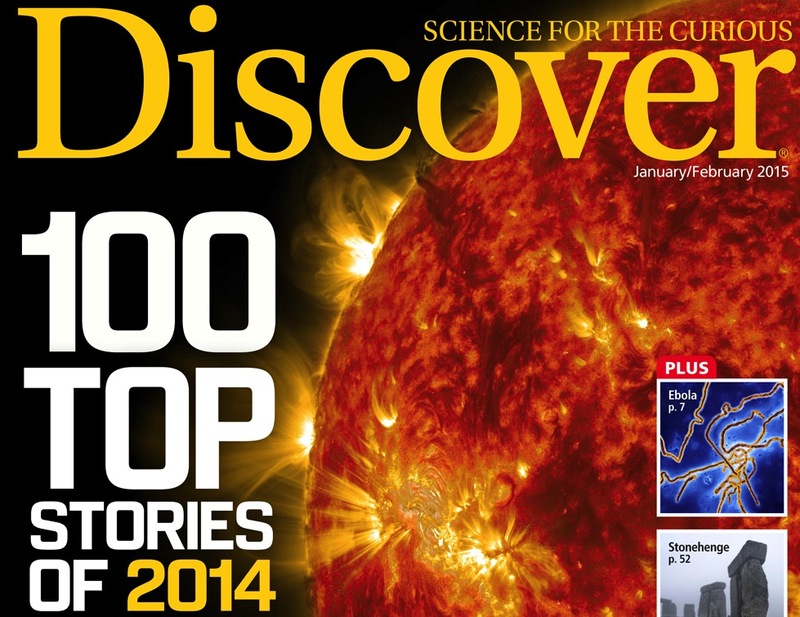 We are delighted to announce that two separate research projects led by CEHW members were selected to appear in Discover Magazine‘s top 100 science stories of 2014! First, appearing at #59 is the exciting story of how Arpita Roy, Jason Wright, and Steinn Sigurdsson solved the 55-year-old mystery of why the far side of the Moon’s surface looks so different from the side we see from Earth. The far side has a much thicker crust, and fewer of the dark “maria” like those we see in the face of the “man in the moon.” According to Arpita and her collaborators, the difference can be explained by the increased temperatures on the Earth-facing side due to the heat radiating off the Earth, which was quite hot following the giant impact that formed the Moon. You can get the full details of their work on Jason’s blog, or in the research paper. 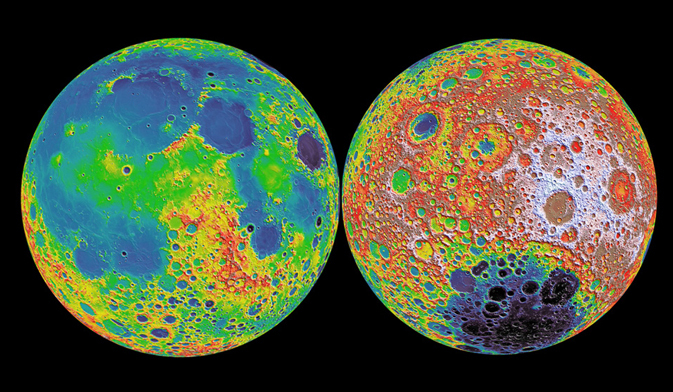 Images of the near (left) and far (right) hemispheres of the Moon, from NASA’s GRAIL mission. Red/white colors indicate higher elevations, while blue/purple colors reflect lower elevation (Image courtesy NASA/GSFC/MIT/LOLA). Also sliding in as part of #100–which documents the year’s notable exoplanet arrivals and departures–is a study of stellar activity in the Gliese 581 exoplanet system. This entry includes CEHW members Paul Robertson, Suvrath Mahadevan, and Arpita Roy, thus marking Arpita’s second appearance in this year’s top 100 list! As you can see, it has been quite a year in science for the Center for Exoplanets and Habitable Worlds. Here’s to pushing back the frontiers even more in 2015!